During her 2014 Campaign for U.S. Senate, Senator Jeanne Shaheen was preaching a much different message about Border Security than her current rhetoric suggests. You can read more about her apparent about-face at the New Hampshire Journal. It is time for Senator Shaheen to stop sounding tough on border security during election time while failing to get any actual work done while serving in office. 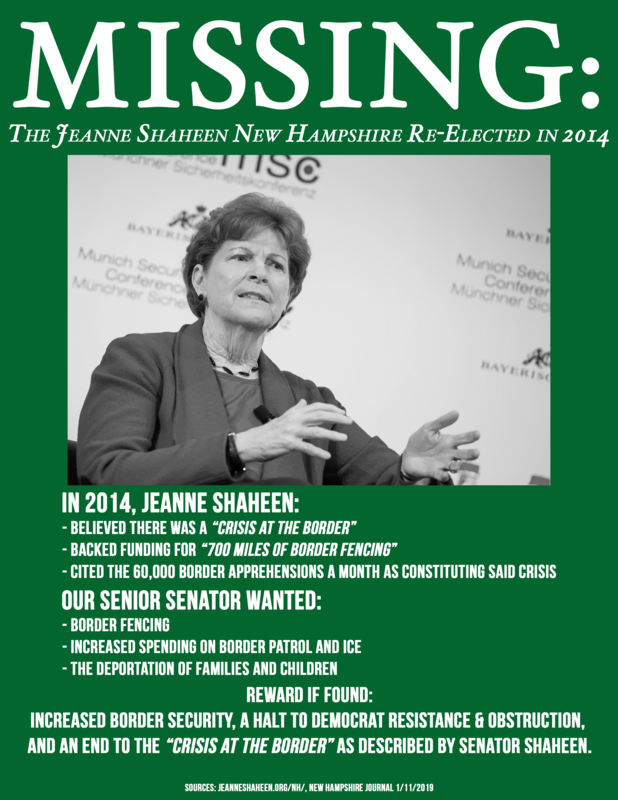 If 2014's version of Jeanne Shaheen were to actually advocate for what she campaigned on, perhaps the "crisis" as Senator Shaheen described could be brought to an end.